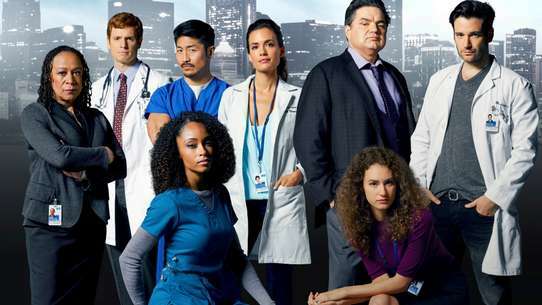 After Dawn diagnoses her with an irregular heartbeat, Alex is supposed to be resting up – but before she gets the chance, The Great Randall returns to Hope Zion Hospital after an experimental cancer treatment gone wrong. Meanwhile, Charlie struggles with the implications of his fight with Joel, who is trying to treat a troubled mathematician. Following a mass casualty accident involving a bus full of teenagers, Alex & Charlie rush to the scene to try and save the kids while waiting for backup to arrive. The Hope Zion Hospital family must band together to overcome the tragedy and move on to the next chapter of their lives. 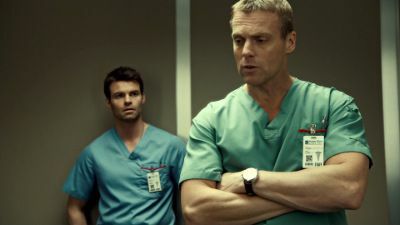 A devastating accident requires the help of Hope Zion Hospital’s doctors at an offsite army base, and Dr. Charlie Harris (Michael Shanks) and Dr. Joel Goran (Daniel Gillies) flip a coin to decide who will take the call. 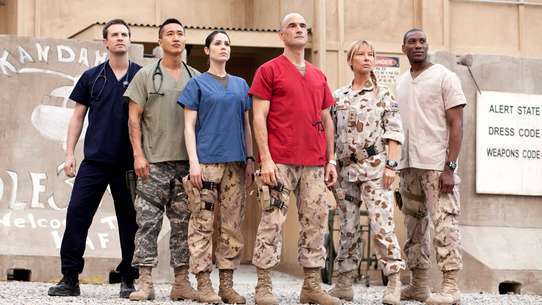 When Joel wins the toss, he and Dr. Zach Miller (Ben Ayres) depart for a heart-pounding day as they attempt to save the life of a soldier in dire circumstances. Meanwhile, Charlie and Dr. 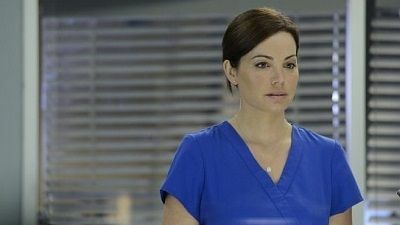 Dawn Bell (Michelle Nolden) work to save a victim of hypothermia, and it’s do or die time for Hope Zion Hospital’s surgeons-in-training when Dr. Alex Reid (Erica Durance), Dr. Maggie Lin (Julia Taylor Ross), and Dr. Rian Larouche (Danso Gordon) finally face the future and their Surgical Boards. But for Alex, the biggest day in her career is also about to become the biggest day of her life. 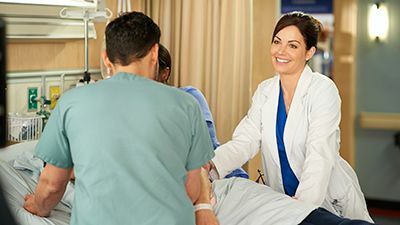 Charlie (Michael Shanks) tries to comfort spirit Alex (Erica Durance) in the OR as they watch Dawn (Michelle Nolden), Maggie (Julia Taylor Ross), and Reycraft (K.C Collins) struggle to repair her heart. Before spirit Alex can fully comprehend that she’s dying on the operating table and that Charlie really can see ghosts – she pops – waking up in a “dream” that takes her back to her childhood home in St. Catharines, Ont. A chance encounter with a lost loved one puts Alex face-to-face with a repressed memory that holds the key to her past, present and future. Meanwhile, Dawn (Michelle Nolden) manages to stitch the hole in Alex’s heart, only to be convinced by a passionate Charlie that something may still be wrong with Alex – leading the team to discover a deadly mistake that Dawn has only minutes to rectify. 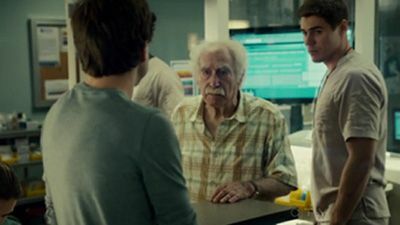 Joel (Daniel Gillies) is pulled to the ER to treat Alex’s assailant – and when his patient pleads to let him die – Joel’s morals as a man are tested against his ethics as a doctor. When a heat wave hits the city, Alex is appointed Trauma Team Leader as the hospital is faced with an influx of patients during a blackout. 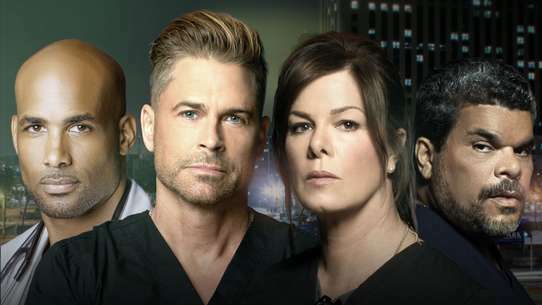 With no back-up power available, Dawn and Charlie must figure out a way to continue their surgery as Joel and Maggie attempt to keep a patient alive while stuck in an elevator. Alex is distraught that she unknowingly helped the bomber at the expense of a friend. 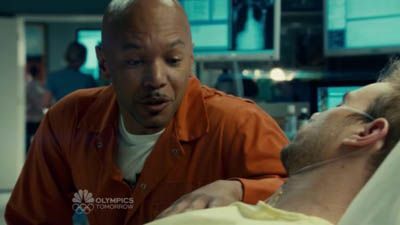 When Alex’s brother Luke is admitted to Hope Zion Hospital in critical condition, Joel and Charlie must work together to keep him alive while keeping his admittance a secret from Alex. 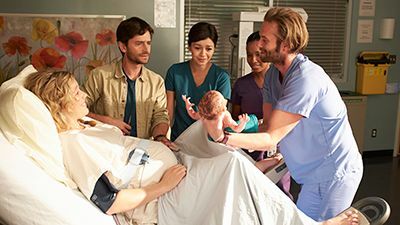 Meanwhile, Alex figures out a way to remove a tumour from a patient pregnant with twins, while Maggie is thrown off her game by the patient’s gorgeous OB/GYN. After a major turn of events, Alex is faced with a monumental question: is her life now changed forever? Meanwhile, Joel is in a race against time to save a young patient from rapidly advancing flesh-eating disease. 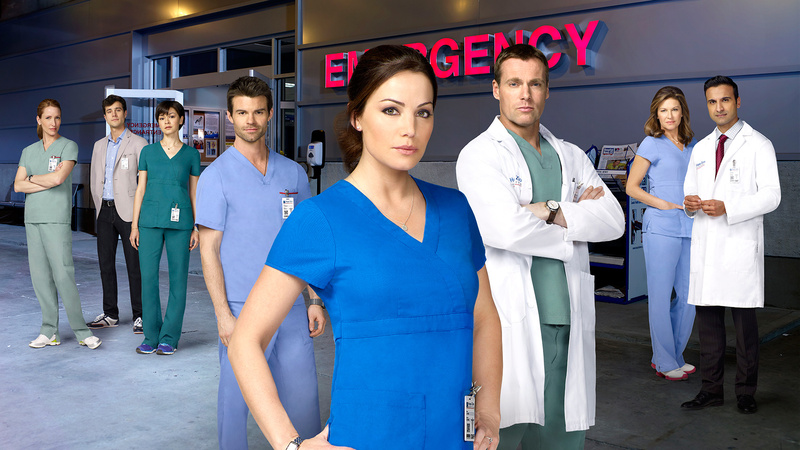 Alex Reid (Erica Durance) is still in a coma, and her impatient spirit wants her to wake up. 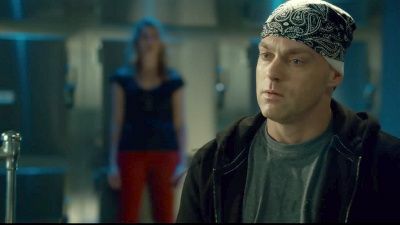 Charlie Harris (Michael Shanks) encourages spirit Alex to let her body recover and enjoy the time they have together in the ‘spirit-world.’ Charlie and Joel Goran (Daniel Gillies) come face-to-face for the first time after their fight, and Alex feels for Joel, who still very much blames himself for her accident. Joel welcomes a distraction when he is called to treat the necrotic leg of an animated drug addict. Still searching for redemption, he makes a pact with the patient to see him through this ordeal, and when an unexpected obstacle arises, he finds himself deeper into his downward spiral. Meanwhile, Maggie Lin (Julia Taylor Ross) and her new boss, the militaristic and pragmatic Dr. Sydney Katz (Stacey Farber), treat a five-month pregnant woman who suffers an aneurysm in the hospital, which renders her brain-dead. The woman’s spirit pleads with Charlie to convince her husband to fight for the life of their son inside of her. After witnessing the couple’s parental love, Alex discovers she wants to become a mother. 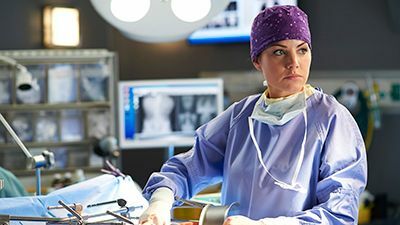 A high profile double hand replantation becomes Alex’s chance to prove to Kinney that she is still capable of being Chief Surgical Resident. In the ICU, Maggie believes a homeless man may have been misdiagnosed. Alex is on her way home to unwind after a long day at work – but all that changes when she witnesses a traumatic accident and is forced to return to work, where the Hope Zion Hospital doctors must work tirelessly against the clock to save a problematic John Doe. Meanwhile, Charlie and Gavin explore Charlie's relationship to the Spirit World in a therapy session. Alex Reid (Erica Durance) is awake, but still not back to her old self. She feels like a stranger in her own hospital. Dawn Bell (Michelle Nolden) has given strict orders for her recovery plan, much to the chagrin of a restless Charlie Harris (Michael Shanks). Throughout the day, Alex is visited by the staff of Hope Zion Hospital, but in the end, it is a patient who gives her the opportunity she needs to truly make progress. 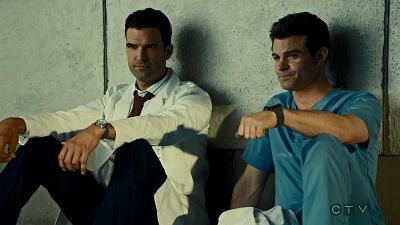 Meanwhile, Charlie and Joel Goran (Daniel Gillies) square-off over differing treatment options, when two fused-together burn victims are brought into the ER. More heat is added to the fire when Charlie discovers Joel has been visiting Alex on a regular basis. Meanwhile, Maggie Lin (Julia Taylor Ross) finds herself in a whirlwind of emotions triggered from the fallout of her miscarriage, and it seems every doctor has their own ideas on how to best manage her outbursts. Plus, a menacing ghost presence has Charlie on edge. Alex and Shahir bring Charlie to the O.R. for a last resort procedure, but Charlie must first face his past before he can wake up. Meanwhile, Joel performs a risky surgery on a female jockey and Gavin crosses the line when he meets an Alzheimer's patient. The doctors rally together to try to save an unknown man who was struck by a subway train; Charlie realizes who the John Doe is. 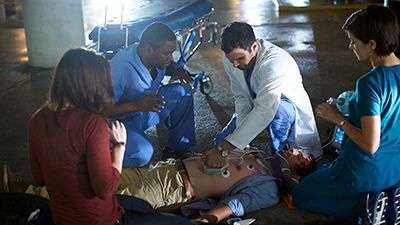 When Alex and Joel end up stranded in the middle of nowhere with a severely injured couple, they’re forced to use only what’s around them to stabilize the pair until paramedics arrive. 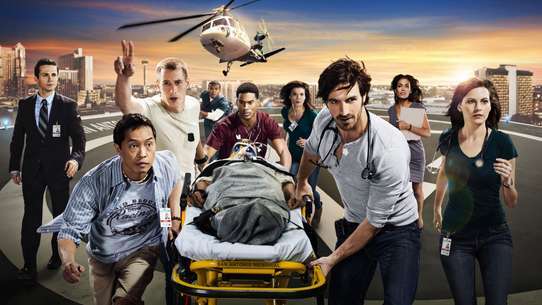 Meanwhile, back at Hope Zion Hospital, Charlie must try to save the wounded leg of his former college roommate as Gavin attempts to help Shahir improve his bedside manner. Celebrated neurosurgeon Thor MacLeod gives Alex an offer; Charlie deals with a fatigued spirit. Buried secrets come to light as Alex treats an elderly patient whose unusual symptoms have her convinced she’s living in a different era. Charlie and Joel get competitive as their patients pit their surgeons against each other. And Maggie agrees to shadow Dr. Kalfas for a surgery, but has to take the reins when complications arise. When a plane is forced to land due to a sick passenger, the patient is taken to Hope Zion where Alex performs emergency surgery and discovers that this passenger may have brought a deadly and contagious virus into the hospital. With Charlie removed from his ventilator, all he and Alex can do is wait and ask themselves: is this really it? 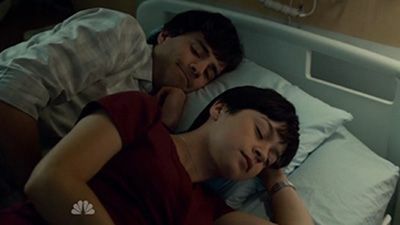 But when a patient comes in for a routine follow-up, her new symptoms could lead Alex and Charlie to making a discovery about Charlie's coma. Meanwhile, Joel cannot operate after breaking his hand, and Maggie and Gavin deal with the aftermath of their kiss. With Charlie's life hanging in the balance, Alex and Dawn go head-to-head over who gets to be his legal decision maker – but are forced to put personal matters aside when they scrub into a heart transplant surgery together. Charlie, meanwhile, is in no mood to talk to the heart donor – a deceased prisoner. After a young, healthy and hunky fireman dies suddenly at Hope Zion Hospital, Alex must take the stand at Hope Zion’s Morbidity and Mortality (M&M) Rounds to find out what went wrong and who is to blame. Meanwhile, Charlie deals with a nervous aspiring Nun, and Joel has to decide if he can be the man that comes through for Sonja.